Selling with a small hoop as I found it easier to walk in with a hoop as there is a lot of fabric to this dress so it keeps it just off the floor. I have had the dress professionally cleaned. Beautiful lace detailing on the dress and train. The lace capelet isn't included in the sale I'm afraid. I found this true to size. 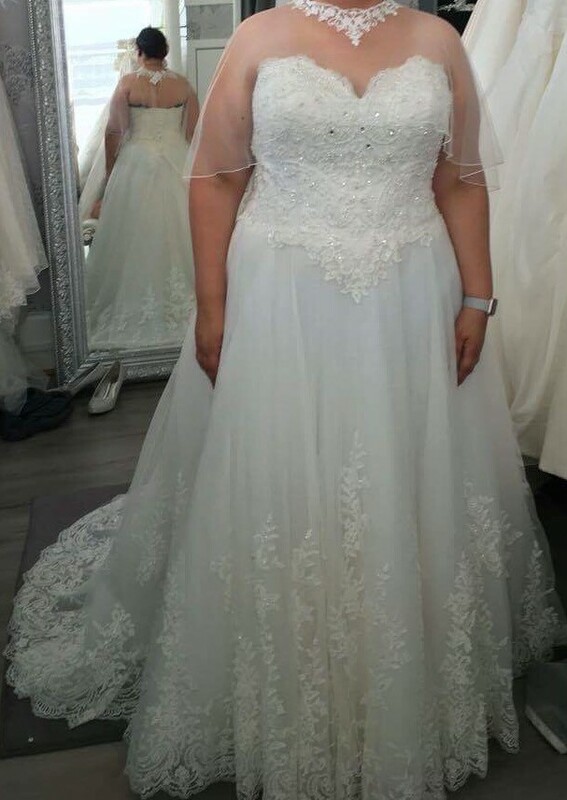 I am a size 22 and this fit me perfectly (although I did have it slightly taken in around the chest area) I found it very flattering for my shape. 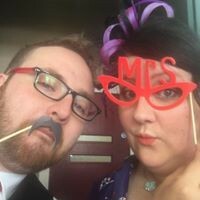 No one wants to feel like a fat bride, and I felt beautiful in this. From a smoke free home. We do have cats but they aren't allowed in the bedroom where I'm storing the dress. As listed above, the dress was slightly altered to fit my chest. The pictures in the shop show it unaltered and the wedding photos show it post alterations.... as you can see, there isn't a huge difference, it just hangs better.